ARTIS Gallery holds regular exhibitions by a diverse range of leading contemporary artists. ARTIS Gallery has been operating as a dealer gallery in Auckland, New Zealand, since 1984. A contemporary gallery with a strong exhibition focus, ARTIS represents leading figures in New Zealand and Pacific art – many of whom have achieved international acclaim. ARTIS Gallery is centrally located in Parnell – the cultural heart of Auckland. ARTIS is one of New Zealand’s leading sculpture galleries. We regularly feature significant large scale works by our artists on the outside plinth located at the entrance to the Gallery. We are also the host gallery for Medal Art New Zealand (MANZ), which is a group of New Zealand’s leading contemporary sculptors. This group exhibits medals (and other small works) at ARTIS in a biennial exhibition. Situated beneath ARTIS Gallery is a large open plan stockroom and viewing space. Known as the BASEMENT Gallery, this area gives our artists the opportunity to continuously have their works on display. For more information about ARTIS Gallery please do not hesitate to contact us. 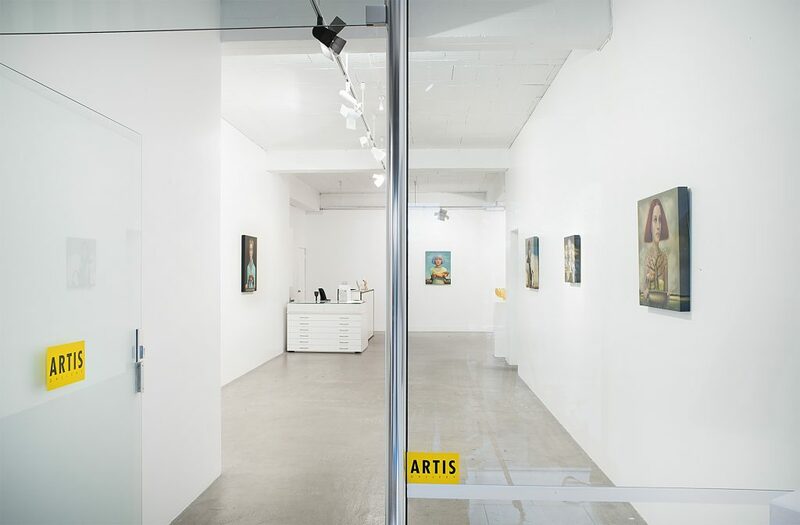 Owner and Director Jonathan Gooderham purchased ARTIS Gallery in 1989 and relocated the gallery to its present location in Parnell, the Creative Corner of Auckland City. Today, ARTIS is proud to be a cornerstone of the prominent Parnell art community. In 2012 a third gallery space was developed to exhibit the Gallery’s sculpture collection. The BASEMENT Gallery gives all our artists the opportunity to continuously exhibit their works. For a comprehensive list of our services please visit our Gallery page.